A night of music featuring Sync Sessions, an audio-digital crossover music fest. 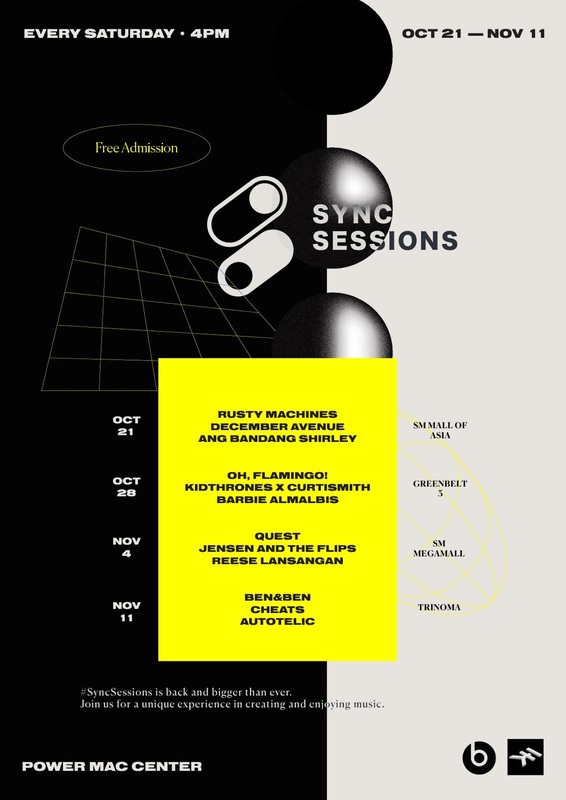 And this year's Power Mac Center's Sync Sessions features 12 bands and artists that will showcase their music style using Apple devices and accessories. "We'll get to listen to music that's very modern and refreshing, all thanks to our performers, who are mostly millennials. With Sync Sessions, Power Mac Center is giving these artists an opportunity to redefine their music and share it. We also hope to inspire budding artists that they can harness technology to create beautiful music," said Joey Alvarez, Power Mac Center Marketing Director. Don’t forget to take your photos at these events and post them on social media with the hashtag #SyncSessions. Sync Sessions 2017 is powered by Beats by Dr. Dre, known for its line of high quality headphones, speakers, and other audio accessories, and IK Multimedia, which created the iRig and other popular music creation accessories. Find out more about this year’s Sync Sessions by visiting Power Mac Center on Facebook, Twitter, Instagram, and YouTube.